Microsoft is engaging training partners, DDLS, New Horizons and Advanced Training, for an initiative aimed at helping build cloud computing skills for Australian public sector workers. Over the next three months, about 800 public sector workers as well as supplier organisations will be invited to participate in the Microsoft-subsidised cloud computing courses. This includes government partners, system integrators, independent software vendors and public sector workers preparing to deliver services within the government’s Secure Cloud Strategy. The training initiative aims to upskill about 5,000 personnel by 2020. The course will feature a nine-module program aligned with the Australian Government’s Secure Cloud Strategy and accommodates a range of skills from integrating on-premise core infrastructure with Microsoft Azure, to operationalising cloud analytics solutions with Microsoft Azure. Participants will be armed with a range of skills including being able to move, transform and analyse data, design and deployment skills for end-to-end solutions, and monitoring and troubleshooting in the cloud. The program is aimed at all skill levels and will run across Sydney, Melbourne, Canberra, Perth, Brisbane and Adelaide. “The Federal Government has also commissioned the Australian Public Service Commission and the Digital Transformation Agency (DTA) to improve the digital capability of the Australian public service," Microsoft Australia managing director, Steven Worrall, said. "Our commitment to provide education and development to upskill 5,000 public sector workers will help complement that process. “This training promises organisational agility, better delivery of services and faster insights from government data, which will help transform the Australian public sector by providing a better experience for citizens. "Migrating from legacy platforms to the cloud is not trivial, so the specialised program we have put together will equip public sector developers and system engineers with cloud-ready skills to design and build digital solutions and deliver their agency transformation initiatives," he said. As noted by sister publication, CIO, the announcement is part of a bid to establish Azure as the go-to cloud provider in the public sector. In August the company announced two new hyper-scale cloud regions in Canberra, to be located within Canberra Data Centres (CDC). Additionally, in early March, Microsoft revealed it would soon make it possible for government clients to run its cloud technology on their own servers as part of a concerted effort to make Azure more appealing to local and federal agencies. 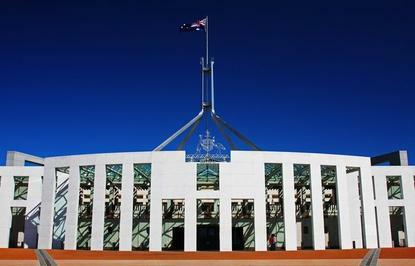 The latest move comes after former CEO of the Federal Government's Digital Transformation Office (DTO), Paul Shetler, in a recent submission to the Parliamentary committee looking into the digital delivery of government services, expressed myriad concerns with the Government’s current IT procurement regime. One of the major issues was centred on the government's years of outsourcing to contractors and integrators -- many of whom would be Microsoft partners -- which have led to progressively deskilling the public service to the point that it lacks the digital and commercial skills needed to deliver services that citizens expect. “Government urgently needs to conduct capacity and capability planning for the future public service,” the submission stated. “As part of this, the public service should establish a widespread digital capability program, working across all levels of seniority. “As the public service has become progressively more deskilled in modern IT and design, government has grown to heavily rely on external contractors to deliver ICT outcomes. "This reliance has been increasing over the last five years as digital service delivery accelerates. Reliance on vendors in turn further deskills the public service, to the point that it is not uncommon for public servants to seek advice from vendors about what they should be buying," it said.